THE GREAT DAN JENKINS wrote the line. Jenkins, perhaps sportswriting’s greatest satirist and certainly one of the great golf historians, has the credibility to make that claim stick. 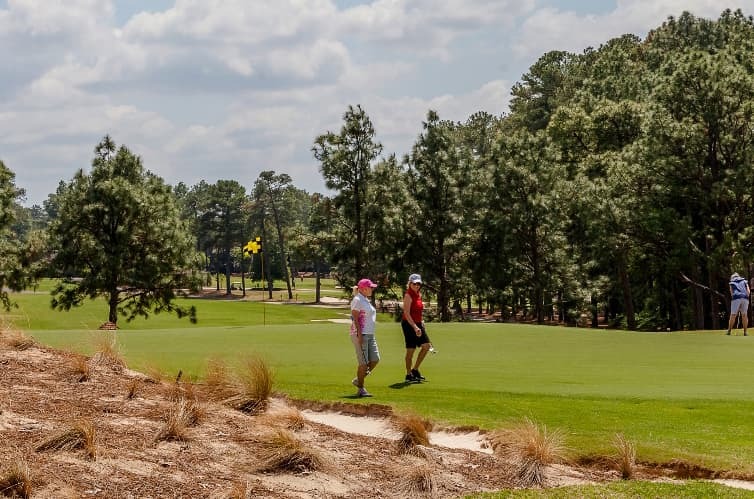 He’s referring to the North & South Open, Pinehurst’s first entry into professional golf that came half a century – and more – before any of the U.S. Open championships Pinehurst No. 2 today is so well known for. It is a tournament that sometimes gets lost in the annals of pro golf, and honestly, even lost in the lore of Pinehurst itself. Every day in the clubhouse’s hallowed hall, guests and golfers stop and marvel at the North & South Open wall of champions, there next to the more well-known North & South Amateur wall, trying to place the tournament’s legacy in their memories. Often, though, it’s not there. But as the arrival of April and azaleas harkens the dawn of another Masters, a studious glance of that North & South Open wall reminds those of us with Pinehurst ties that, many times in golf, before men were masters, they were champions at Pinehurst. This week, we’ll count down each day through a list of the five greatest players ever to win at Pinehurst BEFORE they won The Masters and donned their first green jacket. But before we get going, we have a pretty impressive list of Honorable Mentions to go through today. The fourth green of Pinehurst No. 2, as it appeared during the 1936 North & South Open – the same year Pinehurst hosted its first major event, the 1936 PGA Championship. Photo courtesy of the Tufts Archives. Jack Burke Jr. didn’t win the North & South Open, but he did prevail in a sense at Pinehurst before his Masters win in 1956. Burke was a rookie on the 1951 Ryder Cup team at Pinehurst, helping the United States to a 9 ½-2 ½ romp with a 2-0 record. With the passing of legendary Pinehurst caddie Willie McRae, Burke is the last living participant of the 1951 Ryder Cup. A few final notes on the North & South Open: Walter Hagen won the event three times (1918, 1923, 1924). Alec Ross, Donald Ross’ brother, won the most North & South Opens, with six. Donald Ross won three. Byron Nelson won the North & South Open in 1939, and won two Masters, in 1937 and 1942. Beginning tomorrow, a look at the five best players in history to win at Pinehurst before they won The Masters.